Day 276: Miso Broiled Salmon with Brown Rice and Baby Broccoli. 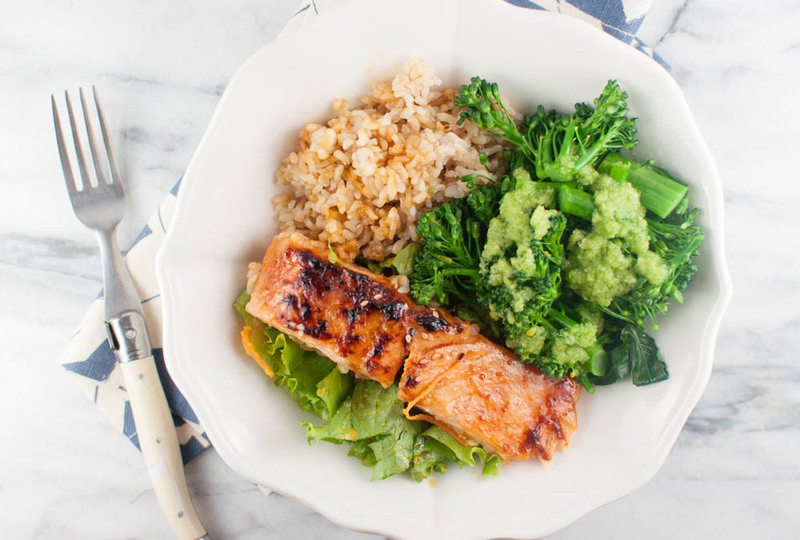 Healthiest meal of the week: Take out miso broiled salmon from Mooncake Foods with brown rice and steamed baby broccoli dressed in their delicious spicy jalapeno garlic sauce. 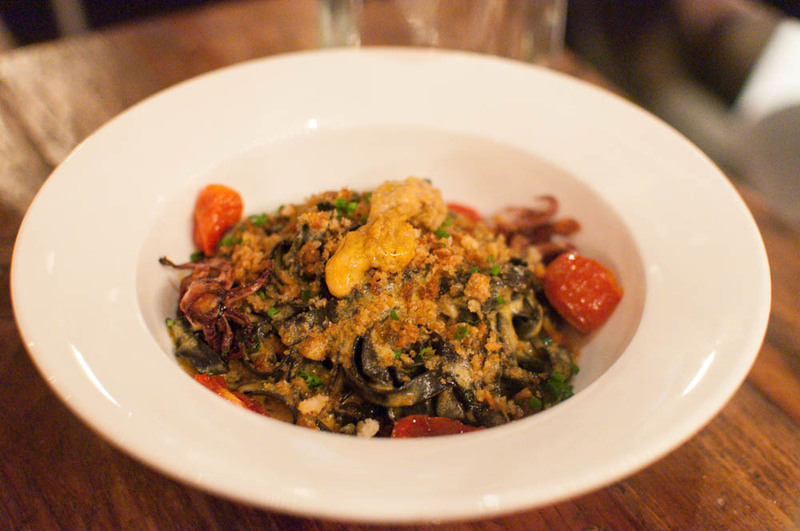 Day 277: Uni Tagliatelle at Cull & Pistol. I made it back to Cull & Pistol for a low key seafood filled dinner. This is quickly becoming a great replacement for Mermaid Inn for my go-to seafood spot in the neighborhood. Even though their new bay fries weren’t quite as good as last time, the uni tagliatelle with calamari and spicy bread crumbs tasted just as delicious as the first time. Day 278: Fried Chicken at The Butterfly. It was probably not the healthiest thing to start off the day with but I just couldn’t resist the fried chicken basket at The Butterfly. 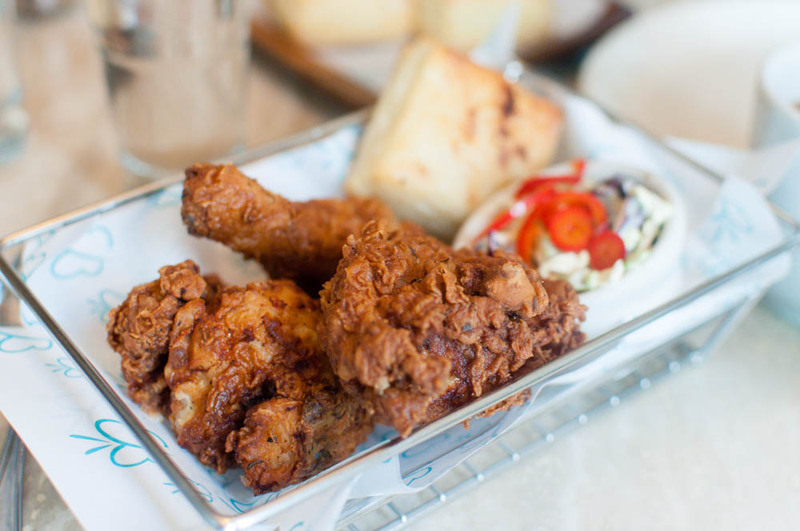 The crispy Bell & Evan chicken pieces are briny and moist, making them some of my favorite fried chicken in the city. 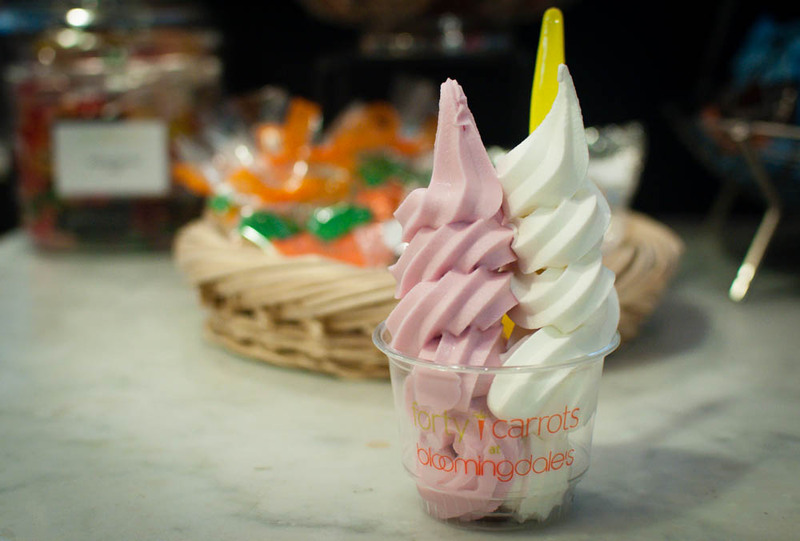 Food 279: Soft Serve at Forty Carrots. When I need a break after shopping all afternoon, I love to stop by Forty Carrots in Bloomingdale’s for a small cup of their tart creamy yogurt. And yes, this towering cup of yogurt is their small size.